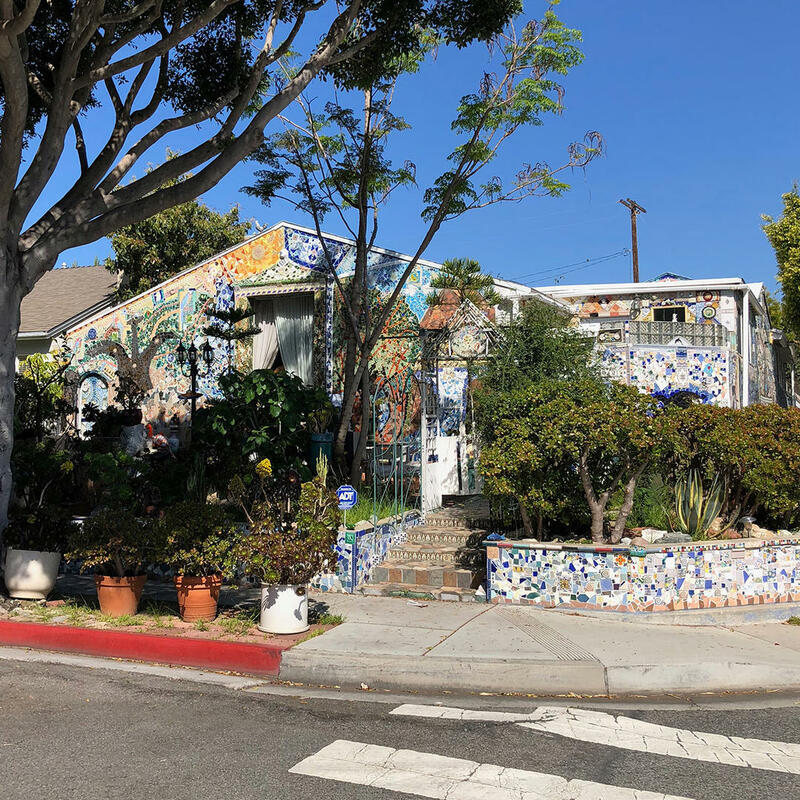 "Unique" would be the understatement of the year to describe this whimsical house with a mosaic pattern on every outside surface. It looks like it was designed for fairies and rainbow-hued ponies. Whether you love it or hate it you can't deny that each tile was lovingly placed. It's been called a work of art, an obsession, a travesty - but the Farnam House was featured on TLC. And, just in case you were wondering, the interior is almost just as bedecked as the exterior (Submitted by Mike Nakh).